Colour-change technology gives these unique nails a fun twist that is sure to cause a stir. 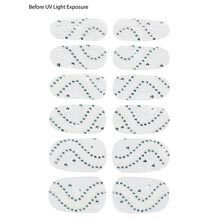 Accented with clear faux gems, nails sparkle in the sunlight as they change from white to bright pastel shades. 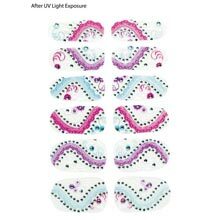 These UV Colour Changing Nail Appliqués are easy to apply and remove. 12 nails in different sizes for a perfect fit.